Get Ready to Get Better! WELCOME, I'M GLAD YOU FOUND ME. "CH" STANDS FOR COACH HERNDON. I'm a long-time college and high school coach (Rice University, North Dakota State University, Washington and Lee University, Christ School - Asheville, N.C., Episcopal High School - Houston, TX) that is now pursuing the highest level of basketball instruction on the private level. I do ONE-ON-ONE, SMALL GROUP AND TEAM INSTRUCTION. I conduct coaches' clinics for college and high school coaches here in the U.S. and for pro coaches in Europe. I conduct CLINICS FOR YOUTH LEAGUE COACHES who want to do a better job organizing practices, understanding offenses, breaking presses, preparing for games, or just communicating better with young players. PRIVATE INSTRUCTION IS WHERE REAL PROGRESS IS MADE IN SKILLS AND TECHNIQUE. I am the very best in the city at teaching players at every level how to execute simple skills perfectly so that they can progress and do hard things easily. My instruction is extremely high level, clear and consistent. Anyone attending my one-on-one sessions will leave with the absolute confidence that they are building skills, not doing drills. Whether it's shooting technique, ball handling, attacking the basket from the perimeter, post play, etc., you can rest assured that I am the very best at teaching the details, watching for their continued execution and making sure that they become a part of your game. A LARGE PART OF WHAT I DO IS WORK WITH DIFFERENT AAU TEAMS that hire me to come in and put in 'the package' of man offense, zone offense, quick hitters, transition, baseline and sideline out-of bounds plays, defenses, presses; overall to establish the team philosophy. I work with the highest level teams in every age range. The mark that I put on each team is teamwork, ball movement, an understanding of motion offense, solid shell defensive principles, and hard-nosed fair play. Teams whose coaches have brought me in to put my 'mark' on them are known for their execution, unselfishness, aggressiveness and execution. 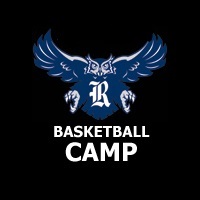 IN THE SUMMERTIME I DIRECT THE RICE OWLS BASKETBALL CAMPS FOR RICE BASKETBALL. We offer a wide array of camps; Shooting Camp, Big Man and Guard Camps, Biddie Ball (Ages 4-7), Day Camps, Elite Team Camps and our Superstar and Jr. Superstar overnight camps that are as good, or better than any in the nation. So don't go looking anywhere else; Rice Basketball camps are the best! I ALSO TRAVEL ABROAD DURING THE YEAR (Europe, the Caribbean) to run clinics for players and coaches. I've been lucky to work with European professional teams, the Chinese Junior National Team, even the Olympic team in the British Virgin Islands. I'm looking to expand to Central and South America soon. 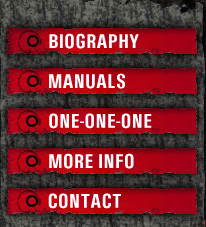 MY MANUALS AND VIDEOS cover a wide array of topics in the game in fine detail and descriptive visual images. The materials include manuals and videos on Building a Program, Shooting, Post Play technique, Quick Hitters and Baseline Out-of-Bounds Plays, the Parent Pack, and Coaching and Teaching Youth Basketball. Basketball is the greatest, most beautiful game ever invented. Individual skill is great, but there is absolutely nothing like a team. I owe a great debt of gratitude to those coaches who have taught me so much about the game, youngsters, people, priorities, and the fine art of teaching. I'm honored to be a part of the game. If I can help in any way, please don't hesitate to get in touch.